Elite Designers Join Toptal’s Exclusive Freelance Community, Meeting Industry Demand for Highly-Skilled Design Talent. San Francisco, CA, October 7, 2015 – Toptal, the world’s leading provider of senior freelance software engineering talent, today announced the addition of expert designers to its exclusive global freelance community. Responding to client demand, Toptal will provide clients with the essential digital design talent needed to make their projects come to life. In a rigorous global search, Toptal has vetted and selected designers with a proven history of design excellence across the most in-demand design technologies to ensure the new talent is consistent with Toptal’s high standards. Toptal designers focus on four critical areas of digital design: User Experience (UX), User Interface (UI), Visual, and Interaction. Each member of the new community has a background in a wide range of design disciplines, including mobile and web design, branding, advertising, photography, and more. Michael Lawrence is the Director of Marketing for TheStore.com Inc., a Miami-based startup with several web and mobile properties. One of them is Votify ─ a photo-based social voting app scheduled for launch at the end of the year. In order to meet the project deadline, Votify needed a complete overhaul of its UX. Dean Siriščević, a Toptal UX designer based in Split, Croatia, was matched to the job. 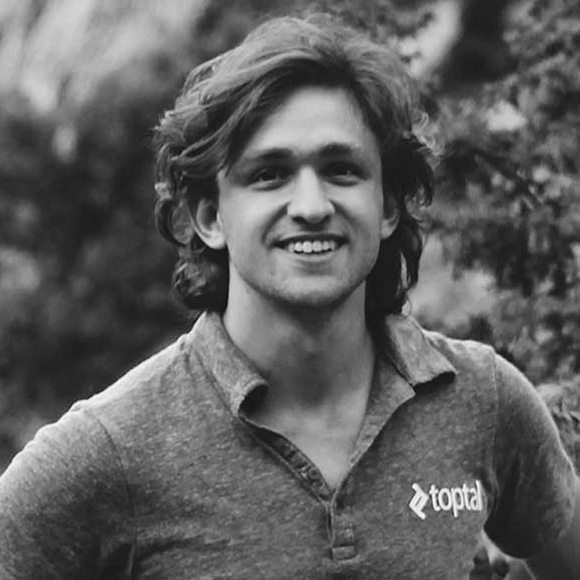 Founded in 2010, Toptal is one the fastest-growing and most innovative companies to emerge from Silicon Valley. With backing from Andreessen Horowitz, Silicon Valley’s famed venture capital firm, Adam D’Angelo, founder of Quora, Ryan Rockefeller, and other investors, Toptal today connects thousands of elite freelance software engineers and designers from around the world to over 2,000 blue chips such as J.P. Morgan and Pfizer, tech companies such as Airbnb and Zendesk, and numerous startups, providing world-class solutions that meet the most complex and challenging requirements. On track to hit an $80,000,000 annual run rate (ARR) in less than five years since its founding, Toptal’s rapid growth is a testament to exploding client demand and the unmatched quality and reliability of the company’s services.